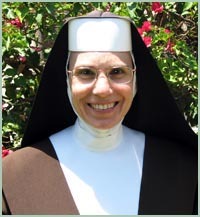 Sister Marisa Ducote is a Carmelite Sister of the Most Sacred Heart of Los Angeles, presently serving as the new principal of Archbishop Coleman F. Carroll High School in Miami. Sister Marisa requested $25,000 to purchase and install 40 projectors so that each classroom will have the capability to integrate the use of technology more fully into classroom instruction. The student body of 730 includes about 100 students with learning disabilities. Sister Marisa believes that new technology will better equip all her students to be positive, contributing members of society. 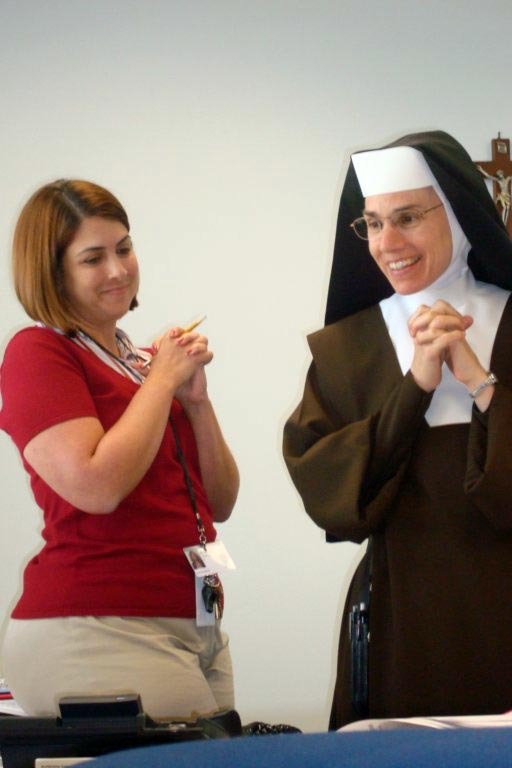 Coming in this year as the new principal of the high school, Sister Marisa has a full and varied work schedule. She is responsible for setting the tone and spirit for the school community, supervising the teaching staff, and she is available for the needs of students and parents. 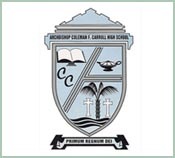 Archbishop Coleman F. Carroll High School is ten years old, and has gotten off to a difficult start financially. As a result, the academic program has not received adequate funding for technology. The forty new, state-of-the-art ceiling mounted projectors will greatly enhance instruction and subsequently, student learning. 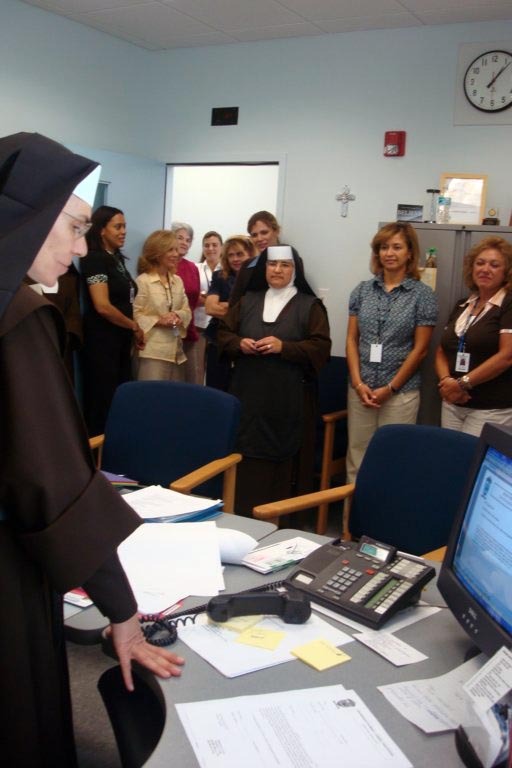 Sister Marisa wrote to say, "The technology has been up and running since we returned to school in January. The teachers are experiencing a new thrill in teaching because they can do so much more now. And the students are more excited about learning and motivated and challenged in new ways. These Smartboards have really improved our instructional program." We received a beautiful Christmas card from Sister Marisa and in it she said, "The Smart Boards and projectors were just delivered and installed and ready to use in January. I will make sure to send you pictures." 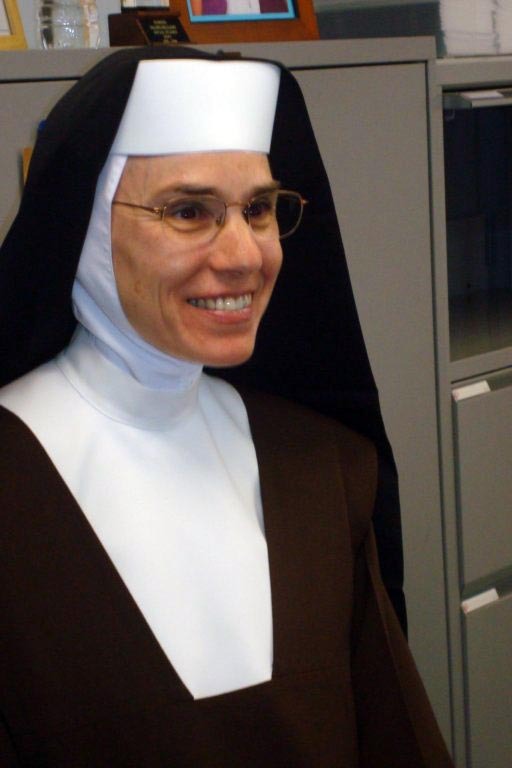 Sister Marisa has decided to install projectors with interactive smartboards in five classrooms. Originally, she planned to install projectors in all the classrooms and smartboards at later date, but this way they can start training certain teachers on the new technology. They will distribute the technology in different departments, for example Social Studies and Science classrooms, so that all the students will benefit from instruction with this state of the art technology. My name is Marisol Marin and I am a teacher at ACC. I am writing to THANK YOU for allowing our school to prosper. You have truly made the way we educate much better for us. Your faith is reflected through your gift of charity. You are a true inspiration. I will truly share this story with the students in my class. Once again thank you. I am an English teacher at Archbishop Carroll High School, and I wanted to thank you for the wonderful gift of projectors for our school. Intergrating technology in the classroom is one of the biggest challenges we have as teachers because of limited resources. Now, I will be able to bring literature to life for my students everyday, and it's thanks to your gift. 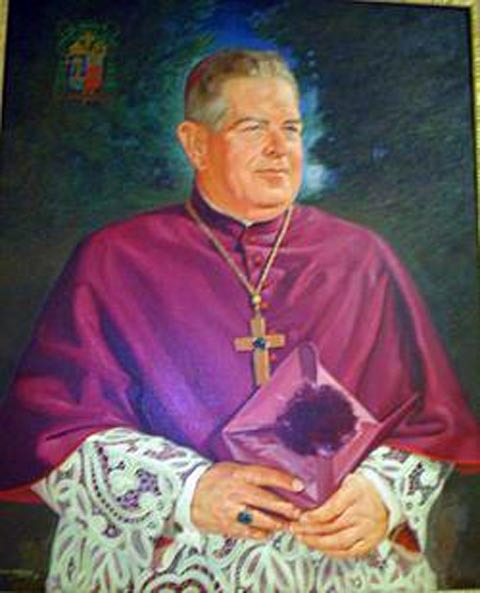 I am a teacher at Archbishop Coleman High School in Miami, Florida, and I personally want to thank you for the generous gift you have bestowed to our school. All of our students will benefit, but specially the ones that I work with, in our Special Education Program. Praised be Jesus Christ! I am a Carmelite Sister of the Most Sacred Heart of Los Angeles, and I am new here at Archbishop Coleman F. Carroll High School. It is a wonderful and very new transition period for me. As religious and consecrated brides of Christ, we fully believe that everything comes from God: our Sisters, our prayer lives, our assignments, and even monetary gifts such as yours. Yes, God used you! May God reward you for your incredible gift to our school here. You know that Sister Marisa is happy, but she isn’t the only one. All the teachers and entire staff are overjoyed. This year there are many new things for us: Sister Marisa as principal, Mrs. Delgado and Deacon Ulloa as Administrative Vice-Principals, Sister Immaculata as Theology Department head, Mr. Solomon as Activities Director, and me as campus minister and much more. But more than these, our school has family spirit here of Christ’s love in action from faculty to students. This is what makes Archbishop Coleman F. Carroll High School wonderful. "She emits peace and serenity when she enters a room," said Vice Principal of Academics Marisol Delgado when speaking of Sister Marisa. 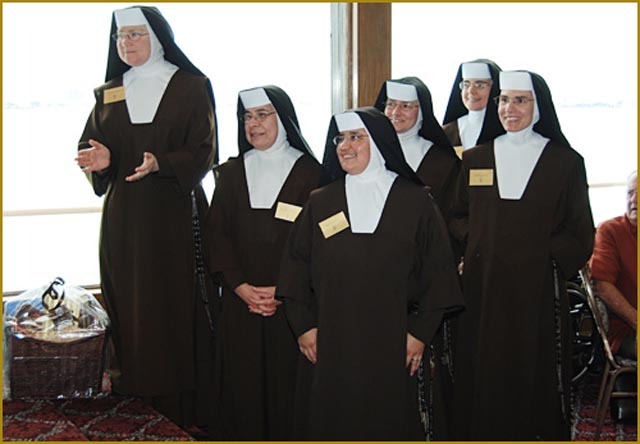 I called Sister Marisa today with the news that she would be receiving the grant she requested for the projectors. Mrs. Delgado helped us arrange the surprise phone call today I could hear a room full of people applauding in the background. I was especially happy to do something for a Catholic school, having been a student at one myself. Sister Marisa grew up in San Jose, California, and entered the convent in Alhambra but has spent the past two years as vice principal at the Miami school, moving up this year to principal. It looks like her first year as principal will be off to an exciting start! 8/04: Jenny wrote... "Sister Marisa, being a product of Catholic school myself, it’s doubly rewarding for me to be able to help make your dreams (& prayers) come true. Your gift will enhance the learning and ultimately, the future, of all your students as well as those to come." 8/04: Damon wrote... "Congratulations, Sister Marisa! Your high school students are so very lucky to have you. Thanks for everything you do to make our world a better place." 8/04: Terri wrote... "Blessings to you Sister Marisa. 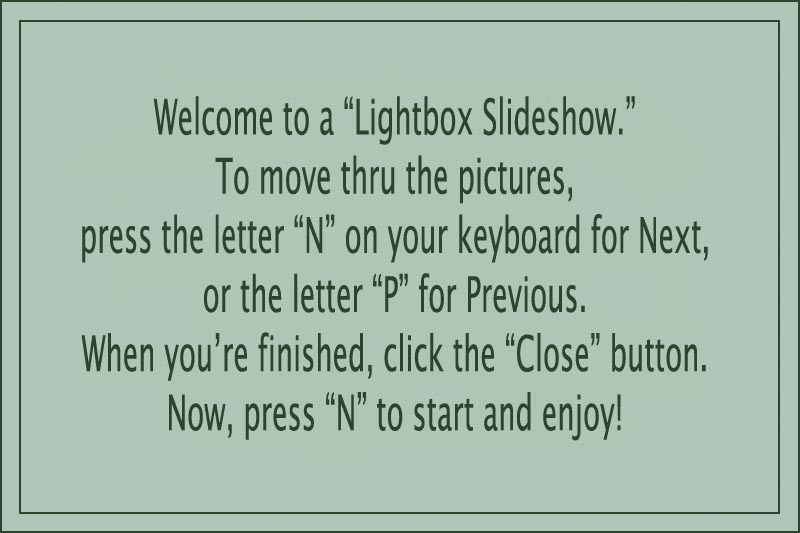 Your students will now move forward in this technological world we live in. The power of prayer in action!"